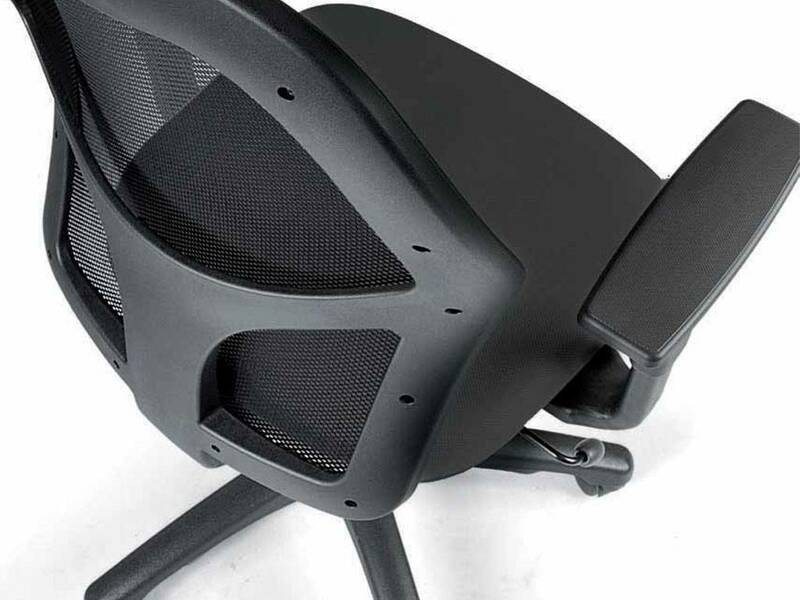 Seat in polypropylene with stuffing in resin and black fabric. Back in polypropylene. Lumbar zone adjustable in height. 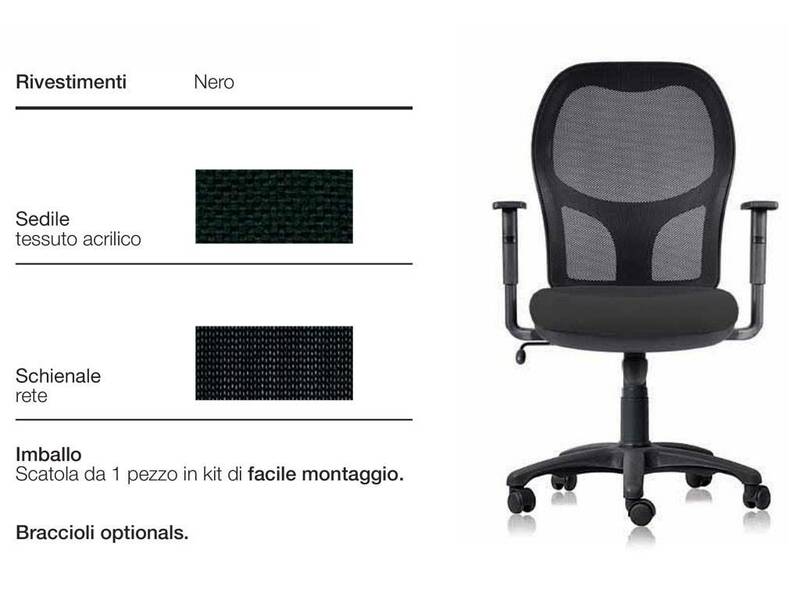 Office armchair available with or without padded headrest. Seat: polypropylene coated with resin and fabric. 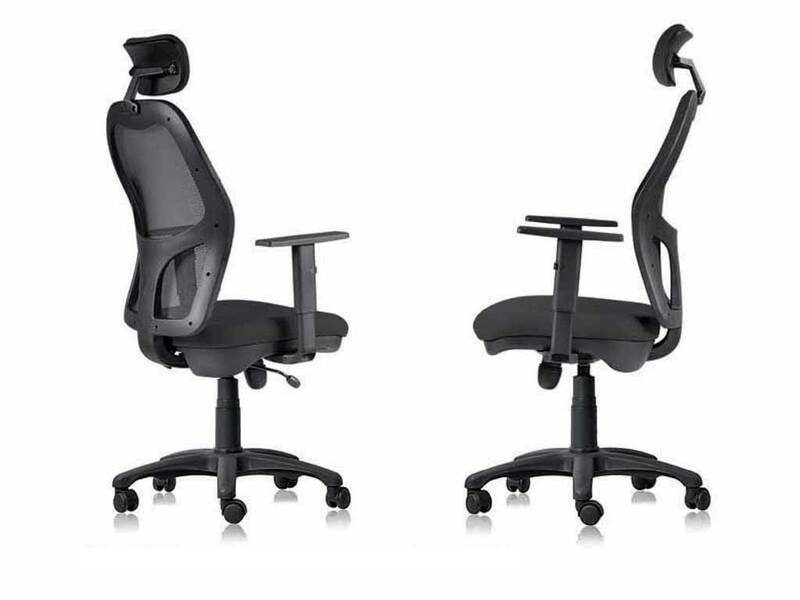 Back: ergonomic, adjustable in height with up&down system. Mechanism: tilting mechanism in steel in block with tension control. 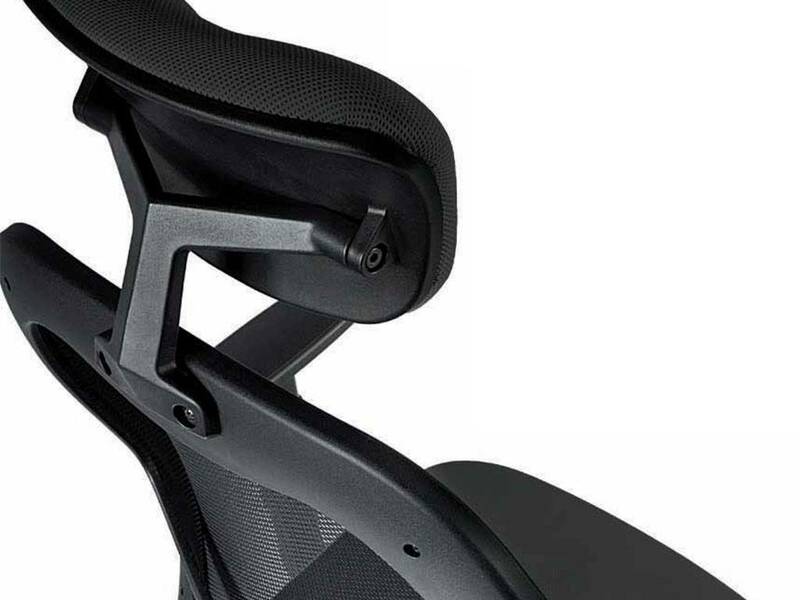 Armrests: adjustable in height (optionals). Back: Black net. Seat: Black fabric.